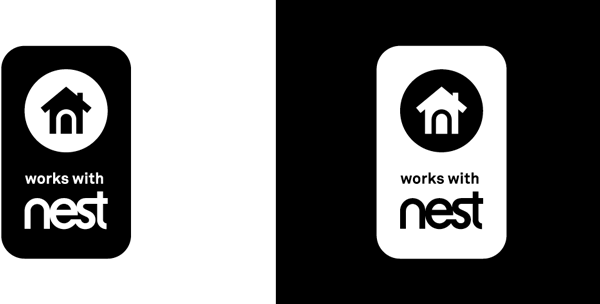 Use the Works with Nest badge for your products, packaging and marketing materials, point-of-sale applications, and the web. Use the (preferred) vertical configuration where possible. 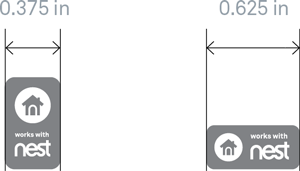 Use the (secondary) horizontal version if it works better in the layout. 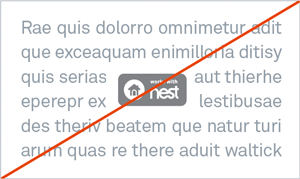 To maintain legibility, be sure the Works with Nest badge never appears smaller than the approved minimum size. 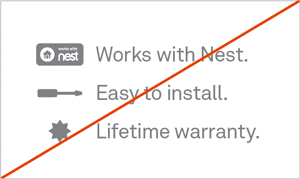 To protect the clarity and visual integrity, always maintain a clear space free of type, graphics and background elements on all sides of the Works with Nest badge. 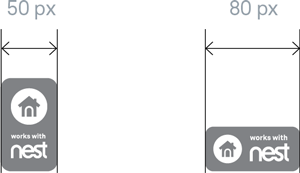 The clear space is defined by the size of the circle in the Works with Nest badge. Select the badge color from these approved colors, based on your layout and production requirements. 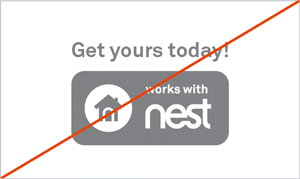 When using the Works with Nest badge on the web, you can apply a transparent background. 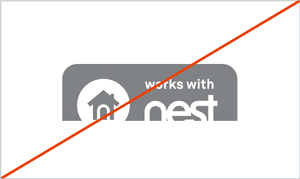 For physical packaging or print, do not add transparency to the Works with Nest badge. 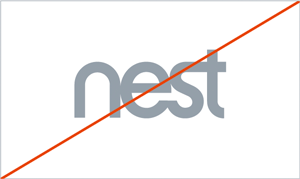 Use the knockout white version of the badge when there's not sufficient contrast between the Works with Nest badge and the background. Make sure the background is not a busy image and the clear space around the badge is free from other elements. 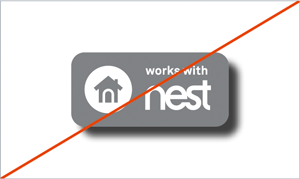 Use the black and white versions of the Works with Nest badge for one-color applications like fax or newspaper when matching 60% K is not possible. 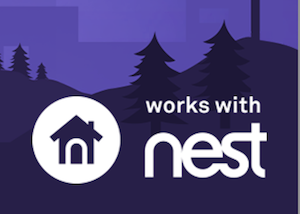 To maintain the integrity of the Nest brand and the Works with Nest badge, it's important to use the badge correctly with text, logos, and icons. 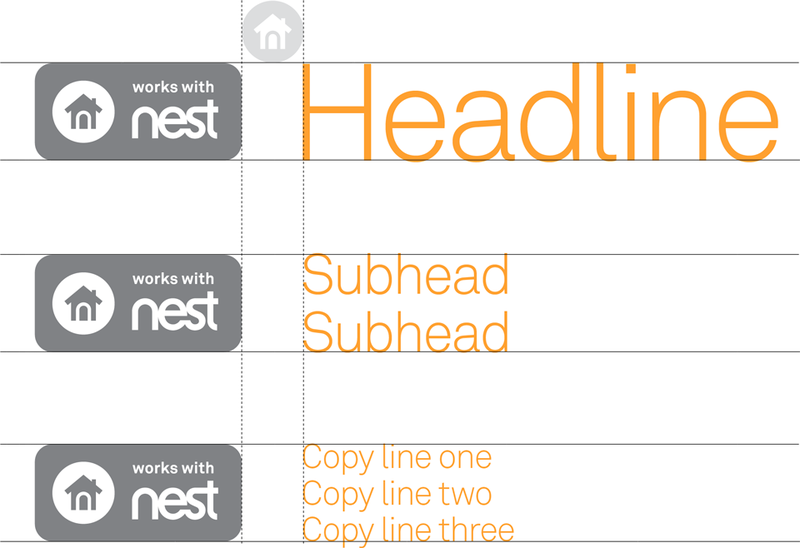 You can use the horizontal Works with Nest badge with text such as headlines, subheads and short descriptive copy. 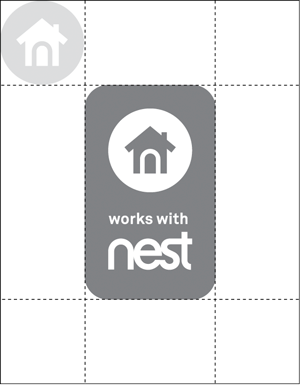 You can group the Work with Nest badge with other compatibility icons for packaging and trade shows. Maintain clear space between the badge and other logos. 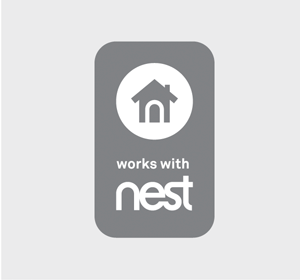 Do not place the Works with Nest badge next to brand or product logos that do not relate directly to the connected home, or device compatibility. 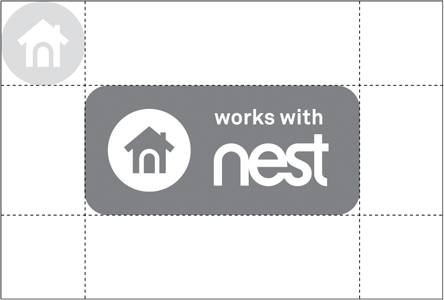 To maintain the integrity of the Nest brand, it's important to use the badge only as described in these guidelines. Don't use shadows, reflections, or glow effects with the badge. 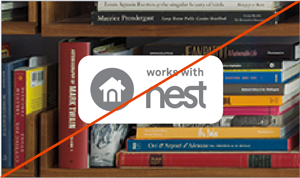 Don't rotate, skew, or stretch the Works with Nest badge. 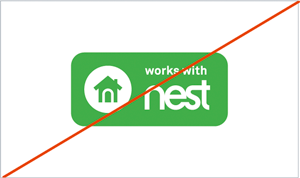 Don't use the Works with Nest badge in unapproved colors. Don't add outlines, patterns or gradients. Don't use the badge within text. Don't place the badge on a busy image or pattern. Don't use the badge as a bullet point. 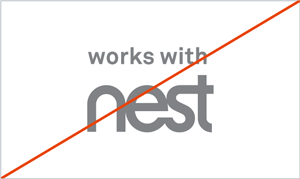 Don't combine the Works with Nest badge with text or other logos. Always maintain the minimum clear space around the badge. 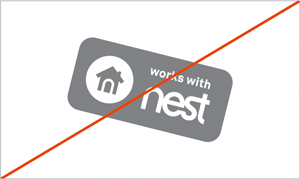 Never crop the Works with Nest badge or alter the badge artwork in any way. 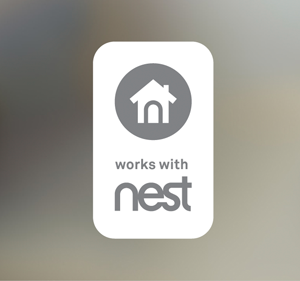 Always use the entire Works with Nest badge. Don't separate the elements of the badge artwork.